Many of us reach for an apple as a snack or a breakfast staple. Although apples and other fruit are a healthy food packed with vitamins and nutrients, they are almost all made of simple (sugar) carbohydrates. Therefore, when eaten by themselves they cause your blood sugar to spike and then drop quickly causing cravings and hunger shortly after consuming them. Pairing fruit with protein (such as yogurt) and healthy fat (such as nut butter/nuts), like in these apple chips, help keep your blood sugar stable by slowing digestion and increasing your satiety. Enjoy them from breakfast or as a mid-morning or mid-afternoon snack. Cut apple into thin, round slices. Then cut out the core from the center of each slice. 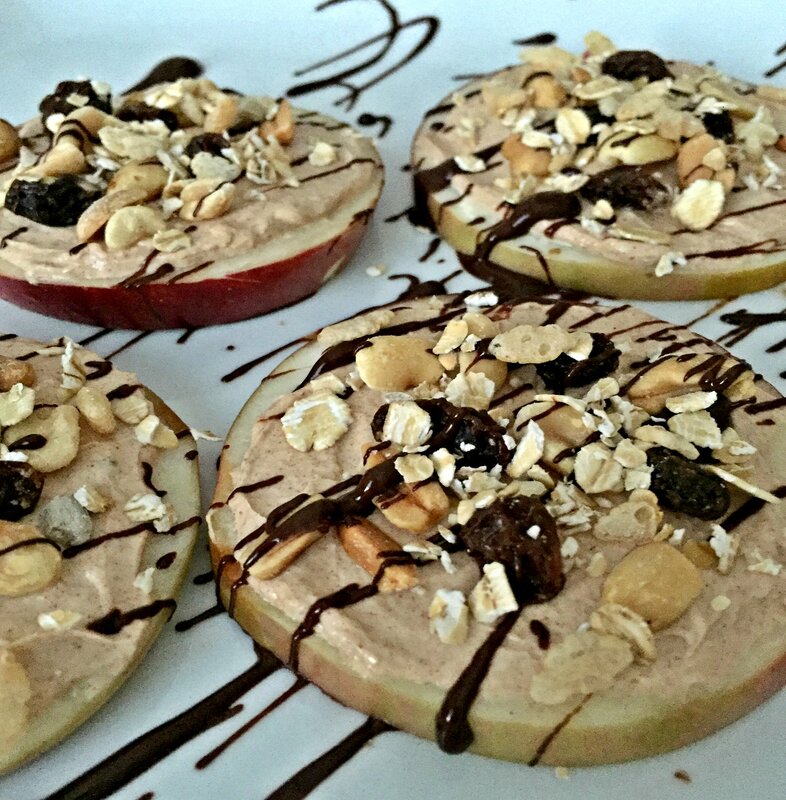 Mix yogurt and peanut butter together and spread on apple slices.